Assassin’s Creed III was not playable on the show floor, but Ubisoft had a nice booth for the first public showing of the game. As I am sure many of you are aware of, the book for Ezio’s life has come to a close and a new story has begun. Now taking place in the 18th century America, the game follows the assassinations conducted by Ratohnhaké:ton, a man of Native-American and British decent; though he is better known as Connor. Much like his antecedents, Connor remains neutral with his main targets being political figures from both the American and British sides, strictly focusing on taking down the Templars. The presentation that was shown at PAX East featured a replication of the Battle of Bunker Hill in Charlestown, Massachusetts. The terrain was lush but harsh. Cliffs, twisted trees, and rolling hills made up the location; all of which were climbable. A surprising amount of time was dedicated to developing the details of the land. Without buildings to run along, Connor is restricted to branches that wind above the forest floors and all of which follow none linear paths. Ubisoft was sure to include the inconsistency nature has. Branches and rock ledges will not line up perfectly in order to keep the realism alive. Speaking of realism, the enemy AI has been upgraded. Enemies will now use my strategies over just following you if you are spotted. Nearly 2,500 nonplayble characters were shown on the screen at once while they continued to scale historical battles in game. Having been trained in the military, they will stick to formations or work together to ambush you. The weaponry stays true to the era. Muskets with bayonets are among the assortment of updated equipment from the previous titles. The video made a very good point: Guns existed at the time, but they were horrible. This means that enemies will fire at Connor first but then succumb to frustrating reloading or turn to using their bayonets. Connor has quite a lineup in his arsenal as well. The hidden blade remains a staple to the Assassins but he has far more to use than just a single blade. He specializes in dual wielding. This gives you the ability to switching between a variety of combinations of weapons like using the hidden blade and tomahawk or pistol and blade, etc…Not to mention he is a ruthless SOB. Hostages can be taken to be used as shields from enemy fire. For example, in the presentation Connor snuck up on a small British platoon and dropped down on them from the treetops. He placed an Englishman between himself and the fire line before charging after they fired their one shot. A second target was hung from a tree with a new weapon – the rope blade – which allows you to throw a dagger into an enemy and lift them from the ground. Needless to say, everything about Assassin’s Creed III screams a fresh new start. The gameplay has improved with enough new additions to keep the series from growing stale but not treading too far from its roots. Keep an eye out for future information as the game closes in on its October 30th release. 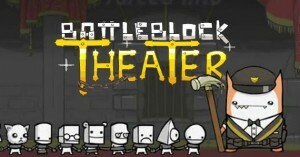 Played on handmade arcade cabinet, Modestlaw and I teamed up to entertain our master cats in Behemoth’s new XBox Live Arcade game BattleBlock Theater. We have much more to say regarding the title, but I will keep the awesome part quiet since that is his. However, I will say this…It is an amazing game. owned by classy cats. You are taken captive and forced to perform in deadly routines. Stages consist of platform-based puzzles and traps as well as enemies. Together with a partner, the two of you work together in order to survive the ordeal to make it to the finale. In some instances you might need to toss your partner across a chasm so that they can stand on a button to lift a platform for you. Or you might need to fling each other up a steep ledge. The gameplay is solid and polished. Controls felt incredibly responsive while the stage itself offered enough of a challenge to require us to actually need to rely on each other but yet simple enough to not be frustrating. Then, as always, the classic Behemoth humor oozes from every pore of BattleBlock. 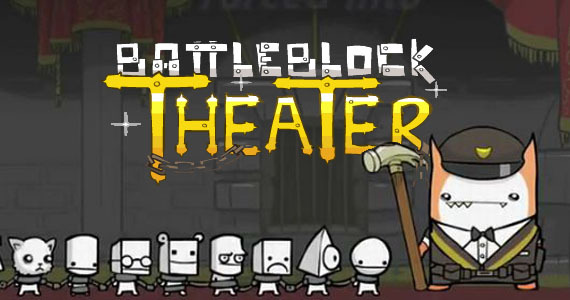 It was difficult to hear the narrator on the show floor; so we missed some of the comical comments but nonetheless, the cartoony art style that accompanied the silliness of some of the scenes leaves me with no doubts that BattleBlock Theater will not be enjoyable. For those of you who follow my writing, then you are aware of how badly I wanted a Fatal Frame style game on the 3DS. This also means that you probably know that a few months ago I reviewed The Hidden, a ghost hunting game that sucked. I am sure you can imagine my concerns when an actual Fatal Frame was announced for Japan before being regionalized for America. However, my worries were put to ease when I discovered that its production was handled by Nintendo while Tecmo co-developed it, and after playing it on the show floor, I knew I needed it. The game takes place in an alternate reality. You play as yourself in your own setting but within the abandoned Japanese manor. An unmarked package is mailed to you containing a mysterious faded purple diary. Upon opening it, you find yourself feeling faint and waking to discover that you are no long in Kansas. Instead, you are trapped within an aging house filled with cursed spirits with no recollection of how you got there. The apparition of a young maiden named Maya appears to you. She like you does not remember anything of her past or how she came to the manor but she faintly remembers her death. Filled with fear, the calm spirit warns you of the “Woman in Black” who steals the faces of anyone who lets their eyes wander through the diary you now hold in your hand. Despite its curse, it is also you only key to escaping the manor leaving you with no choice but to risk death in order to live. Movement is done by the character himself/herself as he/she follows a set path that the game pushes you through. While this sounds restricting, it works out fairly well. I can see where they could have developed the game to use the analog stick for movement, though I also had no complaints about the rail movement. The 3DS’ screen acts as the Camera Obscura meaning you do have full 360 degree view of your environment. A whole pre-rended manor exists within your hands though occasionally shifts to your current reality. I feel that it would have become a tad complicated on the player’s part to try to direct their character movement while also aiming in real time physically. Ghostly voices echo around you as spirits taunt before attacking. The combat system is exactly like it has been in the previous Fatal Frame games. 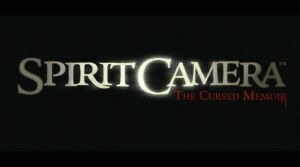 You place the capture circle on the spirit coming after you. 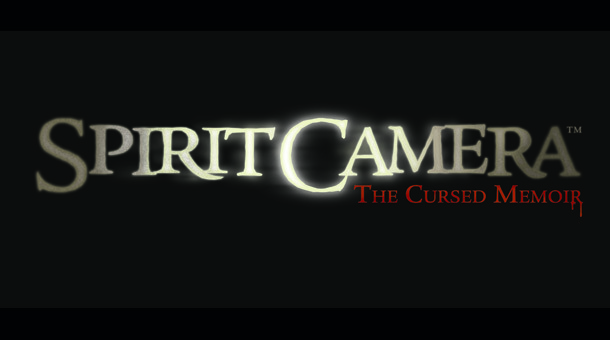 You can let the spirit power charge to increase the strength of your shot; the more spirit power you have and the closer the ghost, the more powerful your capture will be. (And yes, fatal frames are back.) Due to the 360 degree perspective, you can expect to be attacked from any side or even above you. Everything works exactly like how I hoped years it would but probably the coolest thing about the game is the ARG diary. When you purchase the game you get a physical copy of the Diary of Faces that is featured in the game. All the pages are augmented and correspond with parts of the story as it unfolds. You are required to do small puzzles by searching for pages in the diary based on information provided to you by spirits. Grisly imagines come to life before you, creating a rather eerie and immersive experience for a handheld game. Most of PAX may consist of video games, but tabletop games are still incredibly popular. With a bit of creative imagination, players can travel through a whimsical world full of wonders, treasures, and death. Wizards of the Coast took over a majority of the tabletop section, offering free paints for figures, providing tables and materials for encounters, and showing off their new line of Dungeons & Dragons campaigns along with new Magic: The Gathering. I was graced with an opportunity to participate in a press-only session of their PAX East encounter, Sun Never Rises. It featured not just myself, but also Emmanuel Ortiz from nerdcaliber.com and role-player “Cyberwolf”, as well as random-tech-guy, Nate, who was with “Cyberwolf” at the time and filled in an empty slot we had. As a prologue to Rise of the Underdark, their new campaign, Sun Never Rises sets up the plot line of Lolth the queen of spiders leading the drow in an attempt to reclaim the surface. Our plot began on a warm, late summer afternoon. Her Radiance Dareen Travaskyr had received a troubling premonition forewarning her of impending darkness that would rise from beneath the soil. Our four adventures were employed by her to retrieve a powerful ruby that was needed to for a protection ritual. Naturally, our four characters were preset by the dungeon master, editor and developer, Jeremy Crowford. I, Keilra, was a pureblood elf who grew up in a successful merchant family but had grown to enjoy the thrilling excitement of theft. Though what could you expect from a rogue…She was a spontaneous character who never looked before she leaped, resulting in probably the most badass D&D session I had attended. Also…I was featured on X-Play doing an Adam Sessler Impression.